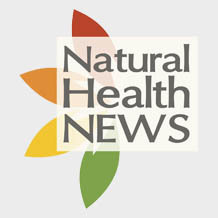 1.1 The Natural Health News administrative office is at: 16 Keyes Road, London NW2 3XA. (“We”/”Us”/”Our”). 1.2 If You have any questions, complaints or comments on this Website then You may contact Us at info@naturalhealthnews.uk. 3.4 If you wish to make any use of material on our site other than that set out above, please address your request to editorial@naturalhealthnews.uk. Important: Our site is for information only and is not a substitute for professional medical advice. Nothing on our site is a recommendation as to how to treat any particular disease or health-related condition and not all conditions will respond to treatment with natural remedies. For serious conditions or advice on health conditions in general, you should visit a qualified medical practitioner.